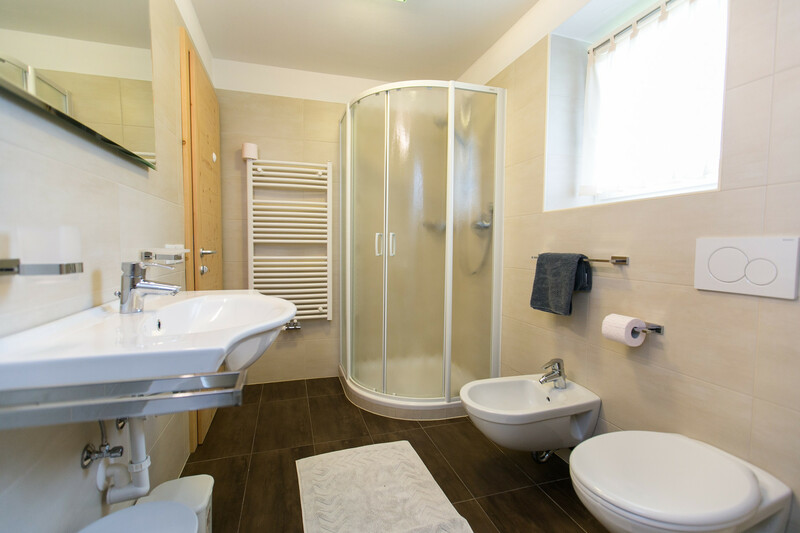 The two room apartment Piz La Ila has a double bedroom, a living-room with a pull out couch for two people, bathroom with shower and bathtub, kitchen with dishwasher, microwave and refrigerator. 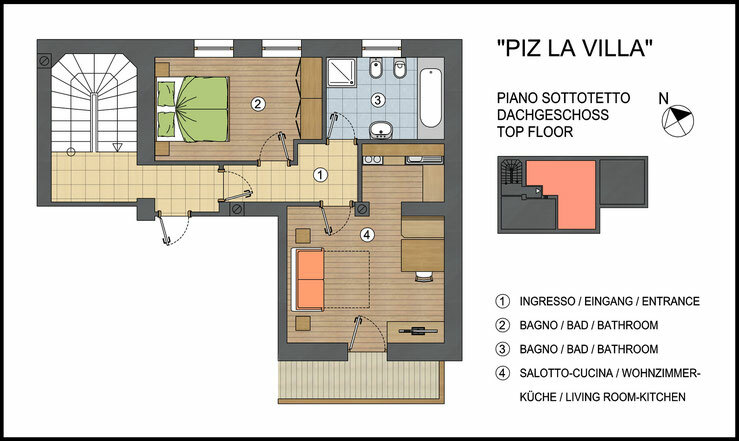 There is a balcony with panorama view on the southside with chairs and clotheshorse. Wifi, TV as well as teatowels and bed linen are available. 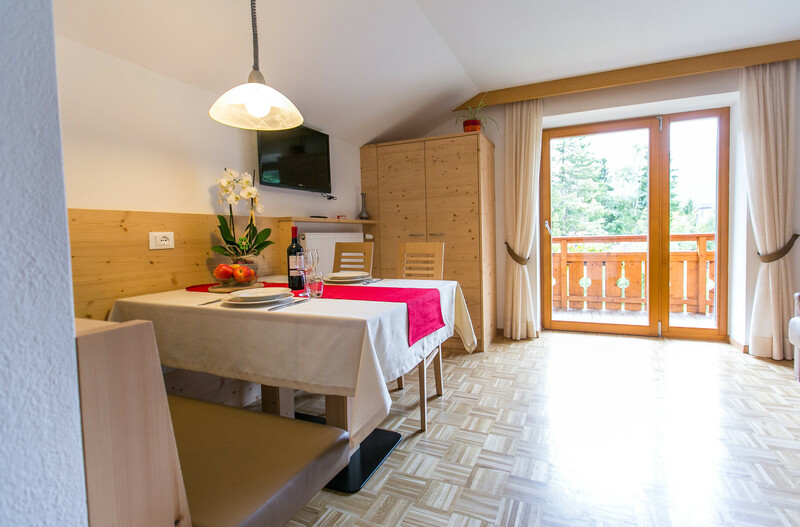 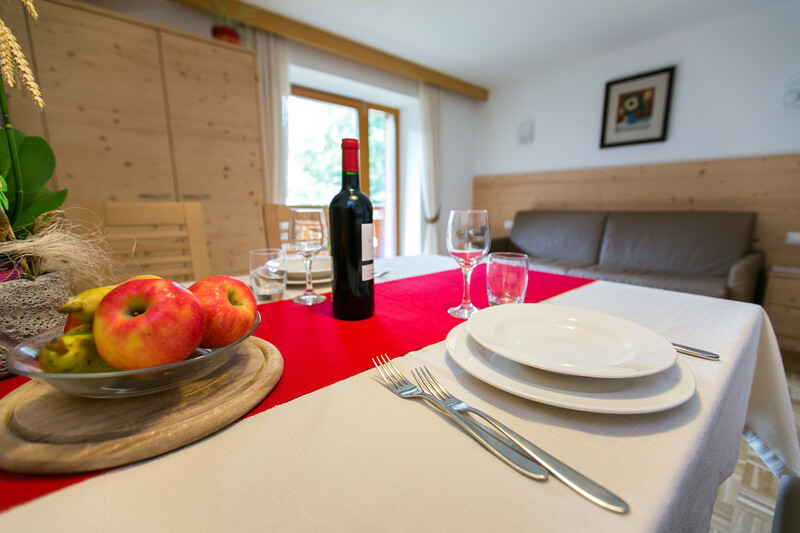 Perfect flat for families who want to spend relaxed holidays in Alta Badia!